From improving processes to boosting profits, management consultancies can make a huge difference to the organizations they work with. Clarity and transparency are the keys to success –for both parties. A new standard just published aims to help. Offering specialist sector knowledge and experience, it is no wonder more and more organizations are turning to management consultancies. Whether it be bringing a product to market, training staff or advising on an organizational overhaul, management consultancies offer a wide range of services and support. Their use has grown dramatically in recent years as businesses and governments look to improve their performance and processes. ISO 20700, Guidelines for management consultancy services, draws on research and experience from a wide range of management consultancies worldwide and aims to increase transparency and effectiveness for both client and consultancy. Robert Bodenstein, Chair of ISO/PC 280, Management Consultancy, the ISO project committee that developed the standard, whose secretariat is held by UNI, ISO’s member for Italy, said that it brings together industry best practice to help make management consultancies more effective. “Management consultancies can bring valuable expertise to an organization, with their in-depth knowledge and broad experience of an industry, to help clients bring about growth or change more effectively. In this way, they make a strong contribution to the economy,” he said. ISO 20700 gives practical guidelines based on outcomes and emphasizes the importance of understanding clients’ needs. It is useful to all management consultancies, regardless of size, and maintains a focus on innovation, differentiation and ethical behaviour. It is also useful for clients in that it helps them better understand what they can expect from a management consultant in a consultancy project. ISO 20700 is now available for purchase from your local national member or the ISO Store. 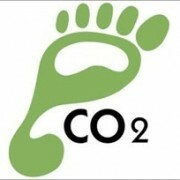 A carbon footprint is defined, as the total amount of greenhouse gases, GHG, produced to directly and indirectly support human activities, usually expressed in equivalent tonnes of Carbon Dioxide, CO2e, which allows the different gases to be comparable to a calculation basis where a unit is a unit of carbon dioxide, CO2. The requirement to reduce global carbon emissions calls for the need of a reliable and accurate calculation of emissions. Apart from the positive environmental effect, the overall business benefits for an organization, which calculates and then reduces the Carbon Footprint of its products and services, are very important. Monitoring your Carbon Footprint highlights opportunities for better energy efficiency, waste reduction, better management of logistics and other improvements in business efficiency. The calculation of the Carbon Footprint is an important process that allows a company to reduce costs, manage climate risks and to enhance the reputation of its trade marks. In each area, from the food to the banking industry, consumers are demanding products that commit to reducing their impact on the environment and to the otherς. We can help you to calculate your carbon footprint and through it to find together the appropriate procedures for the gradual reduction, in order to optimize your business operations, saving energy and reducing costs. As always, we are by your side and we are available for any information and / or necessary clarifications. We will be glad to talk with you about your needs, so we can help you achieve your goals. We are pleased to announce an exciting new service related to improving sales. In partnership with UK based Selling Interactions, www.sellinginteractions.com, we are now able to offer you a thorough, in-depth assessment of your sales organisation, using the Sales Excellence Diagnostic. This is an82 point on-line assessment, built from a database of over 750 best practice research cases, and 150 client projects. Created as a spin-off from Warwick Business School, we are the sole provider of this service in Cyprus and Greece. It can be an extremely powerful tool to organisations competing in the B2B market. Do you have a clear idea how you will achieve growth? 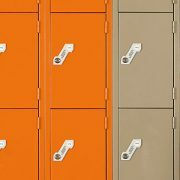 Do you believe the performance of your sales organisation can be optimised? Would you like to quickly assess where improvements can be made?